Tired of the Treadmill? Dance Instead! Tired of running on the treadmill to get fit? We don’t blame you one bit. Spending time running in the place can feel monotonous over time, and doesn’t give you the same benefits dancing does. 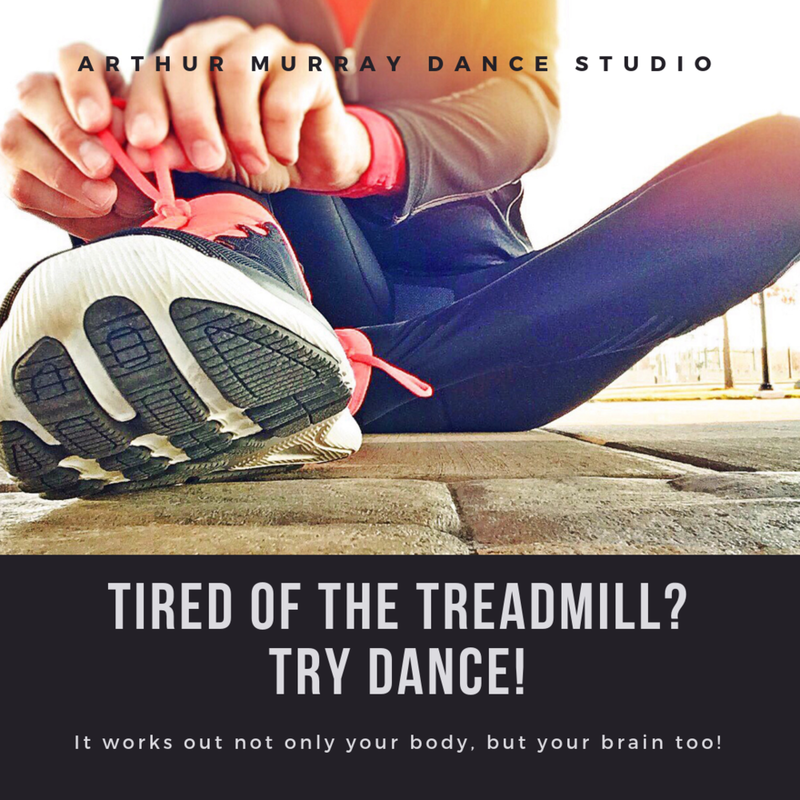 Not only does dancing improve your muscle memory, you burn more calories and tone parts of your body you typically wouldn’t by just running on the treadmill. What we love most about the benefits of dance fitness is you not only get fit, you work on styling your movements from head-to-toe. .There is no other workout that will improve your overall appearance, posture, and confidence like dance. Especially, Ballroom. If you’re looking to pump up your exercise routine, our recommendation would be to find a dance instructor and share your goals with them! You’ll have some fun, dance your booty off, and sweat into the body you’ve been wanting at the same time! We have students, that make an effort to come to group classes every single day, and have lost weight faster than ever! It’s up to you to take charge, and take advantage of the many benefits Arthur Murray offers, like free group classes to its students! Newer:V-Day Gift CertificatesOlder:Pro Coach: Kyle Campbell, Coming Soon!